I talked on April 11 with Carrie Saldo, host of WGBY’s Connecting Point, about my recent books on the state of democracy, and my current work on strategies for governing. Video here. On April 3, I talked with Dan Rea of WBZ’s Nightside about my book Can Government Do Anything Right? Listen to the interview here. I’ll discuss my book Can Government Do Anything Right? as a distinguished visiting lecturer at Suffolk University on April 12. Details here. Powerpoint for the talk here. 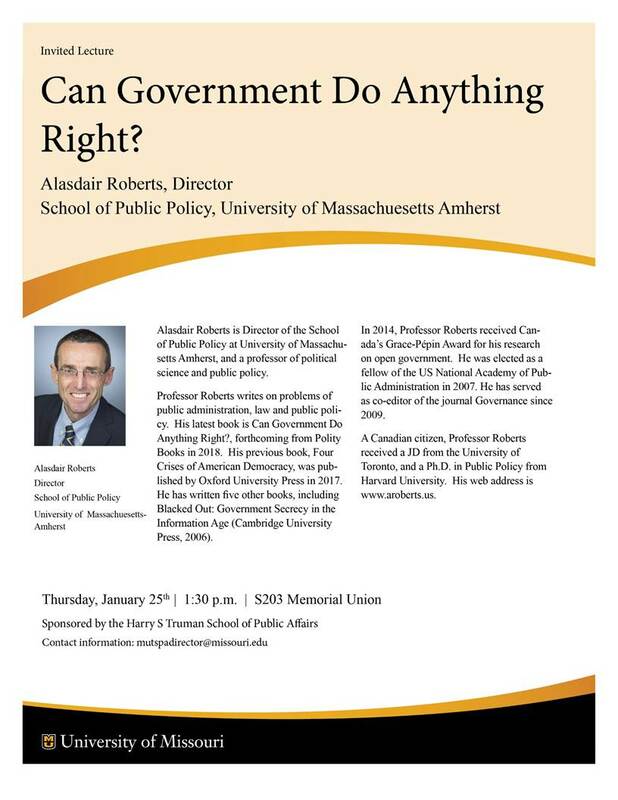 I’ll be talking about my book “Can Government Do Anything Right?” with UMass alums in Naples and Palm Beach FL on March 20 and 21. Details about the March 20 event here. Polity Books is offering a 20% discount on Can Government Do Anything Right? Download the order form here. The form can also be used to order examination copies. An excerpt from my book Can Government Do Anything Right? can be downloaded here. The book will be published in 2018. Pre-order on Amazon.